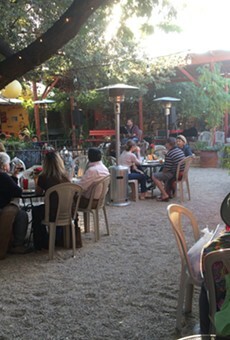 What La Cocina has done with the Old Town Artisans' courtyard is breathtaking. There are plants everywhere. The little pond is thriving, with cute little turtles peeking their heads out on occasion; birds sing in the trees. There's a stage, where a variety of local musicians can be found performing at all hours of the day. 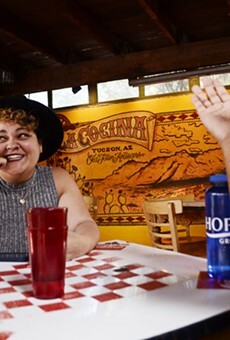 You breathe in, and you can feel the cleanness of the air and the refreshing aura of a true Tucson oasis—while you eat your delicious South American breakfast and sip the addicting ginger lemon tea.